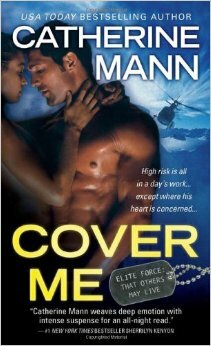 On today’s show we discuss the Alaskan-based, icy-hot paramilitary romantic thriller Cover Me (Elite Force: That Others Might Live Book 1) by Catherine Mann. Matthew runs Becky through some para-games (That She Might Be More Funny, Attempt 1) and we both learn that a “litter” in wilderness survival speak is not a bunch of baby kittens. Today’s episode is sponsored by Dilderness Survival Gear for the Backcountry Girl. This entry was posted in Uncategorized on June 8, 2015 by mamster.